An update to Vol. 1, pp. 72–75. 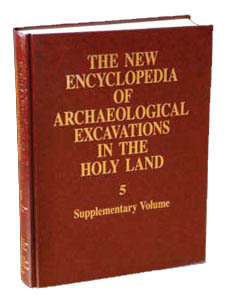 From 1990 to 2004, 11 excavation seasons were conducted at Apollonia-Arsuf (Tel Arshaf) by the Institute of Archaeology of Tel Aviv University under the direction of I. Roll. Between 1990 and 1993, the excavations were sponsored by the Herzliya Municipality, focusing mainly on the southern part of the site (area E), where a complex of rooms, later found to belong to the eastern wing of the Roman villa, were uncovered. Above them were found Byzantine workshops, apparently used for the preparation of sauces and for salting fish (garum et salsamenta). These went out of use during the Umayyad period, when the city wall was constructed there. Within the wall and adjacent to it were found Early Islamic period dwelling spaces and workshops, which were rebuilt during the Crusader period and covered with fill in the preparations for the siege of 1265.